Nandita Das is writer, director and actress with over 50 credits to her name. She has acted in more than 40 feature films in ten different languages. In 2008, she made her writing and directorial debut with Firaaq, an ensemble film that explores the devastating impact in the aftermath of the Gujarat riots in 2002. The film won many accolades and critical appreciation, both in India and abroad. She was on the main competition jury of the Cannes Film Festival in 2005 and then again as a member of The Short Films and Cinéfondation Jury in 2013. Das also acted, wrote and directed the play Between the Lines in 2012, which dealt with the subtle gender inequalities that exist among the affluent, educated class in India. She has a Masters degree in Social Work and worked with various NGOs before films gave her an opportunity to expand her role as a social advocate. Das continues to remain a strong voice for issues of social justice and human rights. She has been invited to speak at reputed events and social forums all over the world. Recently, she was the President of the jury for the 2018 edition of the UNESCO-Madanjeet Singh Prize for the Promotion of Tolerance and Non-Violence, an award that recognises extraordinary achievements in promoting notable models in the field of peace-building. 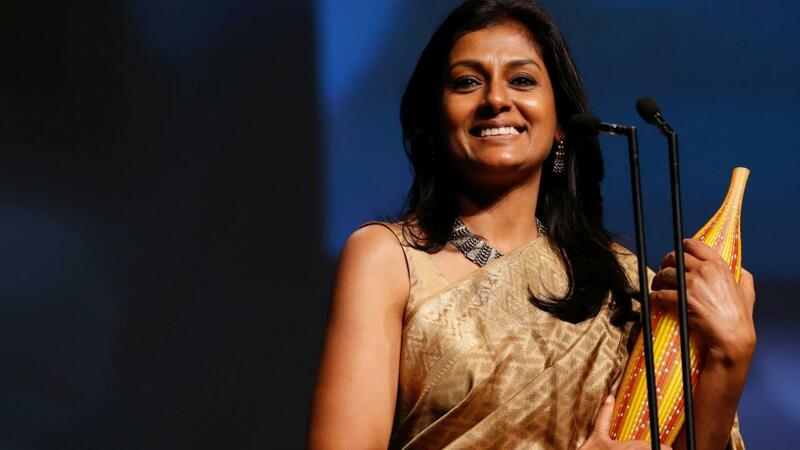 Nandita Das was the Chairperson of Children’s Film Society India from 2009 to 2012. She has also been conferred the Knight of the Order of Arts and Letters by the French Government and was the first Indian to be inducted into the Hall of Fame at the International Women’s Forum. In 2010, she was nominated by the World Economic Forum to be a Youth Global Leader. Additionally, Das was among the 16 emerging global leaders chosen to be a Yale World Fellow in 2014, chosen from close to 4000 applicants. Das’ second directorial venture, Manto (2018), based on the life and works of Saadat Hasan Manto, one of the greatest short story writers of South Asia, premiered at the Cannes Film Festival in 2018. It was selected for the Un Certain Regard section and was the only official Indian film in the festival. It then travelled to the Sydney Film Festival, Toronto International Film Festival, Busan International Film Festival and BFI London Film Festival, among others. Manto released in theatres in India in September of 2018 and was later nominated for an APSA for Best Performance by an Actor for Nawazuddin Siddiqui. As an actress, Das’ work can be seen most famously in Fire (1996) and Earth (1998) for director Deepa Mehta. The controversial subject matter of these films meant they were among some of the most prominent Indian films to reach international audiences in the 1990s. Continuing her social advocacy, Bawandar (2000) won the award for peace at the Political Film Society, USA. Her works as a filmmaker have seen inspired and audacious stories meet with worldwide acknowledgement and success. They have influenced the Indian film industry and enriched international audiences’ understanding of Indian culture.